:The story of God's people in the Bible is set in a particular place and at a particular time. It is linked to the land: "The land you are crossing [the Jordan] to occupy is a land of hills and valleys, watered by rain from the sky, a land that the Lord your God looks after." (Deuteronomy 11:11-12). "The Bible is full of journeys. Abraham took an epic journey from his father's home in Ur to the land of Canaan. The Hebrews journeyed from slavery in Egypt to the Promised Land. The kingdom of Israel expanded under King David. Later the Jews were taken into exile in distant Babylon and Persia. Jesus journeyed around Galilee and Judea, while Paul took an epic series of missionary journeys throughout the Mediterranean world. It is very helpful to have maps to show where these places were, and where the journeys led. 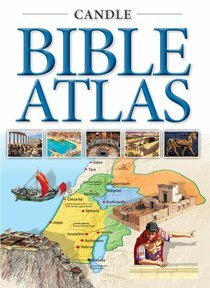 This atlas provides a clear set of annotated maps offering an accessible background to the Bible story." Tim Dowley A companion to the Candle Bible Handbook, with newly commissioned maps. About "Bible Atlas (Candle Classic Series)"